1. Pick the Right Container - There are a few things to consider when pick a container to grow garlic in post. First, you need a container that is at least 6 inches deep and has the proper drainage. 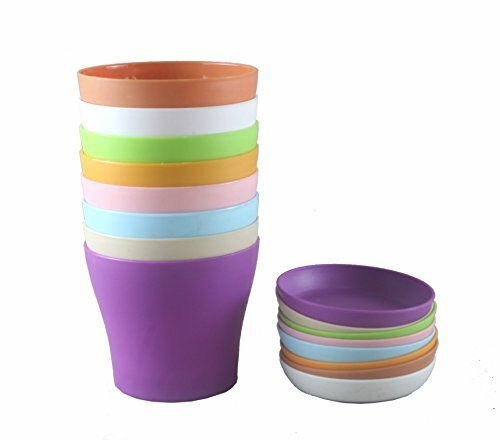 I love these colorful containers found on Amazon because the are a great buy and add a pop of color to by garden area. The container also needs to be big enough to leave 6 inches of space between each clove. Other things to consider are evaporation rate and heat conductivity because Terra cotta pots evaporate more quickly and will need to be watered more often than glazed pots. If you don’t care about appearance, you can even use a 5-gallon bucket with holes punched into the bottom. 2. Mix the Right Soil - The proper soil medium is important for growing garlic in pots. You want soil that is not too moist or too dry. In addition, you need plenty of organic nutrients available for the bulbs. 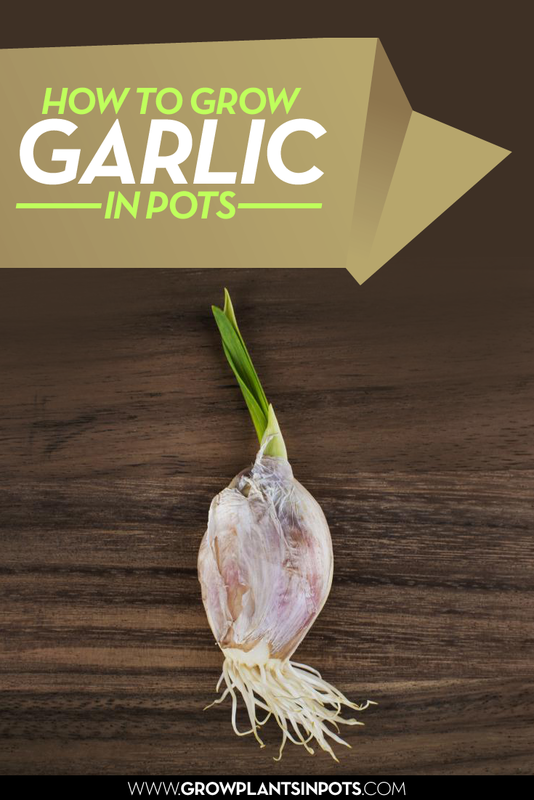 Therefore, a good mix of peat, perlite or vermiculite potting mix or compost and a little bit of builder’s sand will give you the drainage, moisture retention and nutrients necessary for growing garlic in pots. 3. 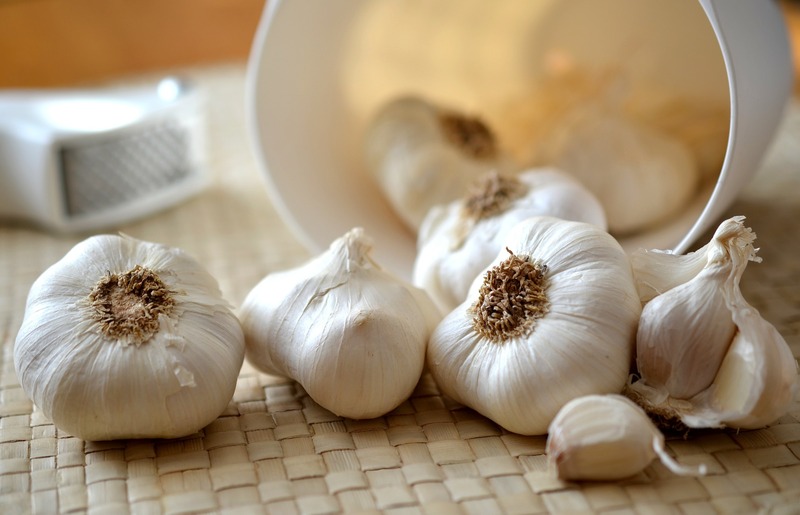 Plant the Garlic Bulbs Correctly - Break up the garlic bulb into cloves and bury them a couple inches deep in loose, damp soil. Make sure you keep the pointed side of the clove facing upwards. If moisture is minimal, water the soil until it is evenly damp. Plant a short-term crop on top such as lettuce. Lettuces planted over un-sprouted cloves will minimize weeds and keep the soil broken up with their roots. 4. Water and Harvest The Garlic Correctly - When your garlic sprouts, make sure to give them water when the topsoil feels dry but be sure to not overwater – garlic tends to not need too much water. Be sure to cut off any flowers that bloom to preserve the flavor of your garlic. 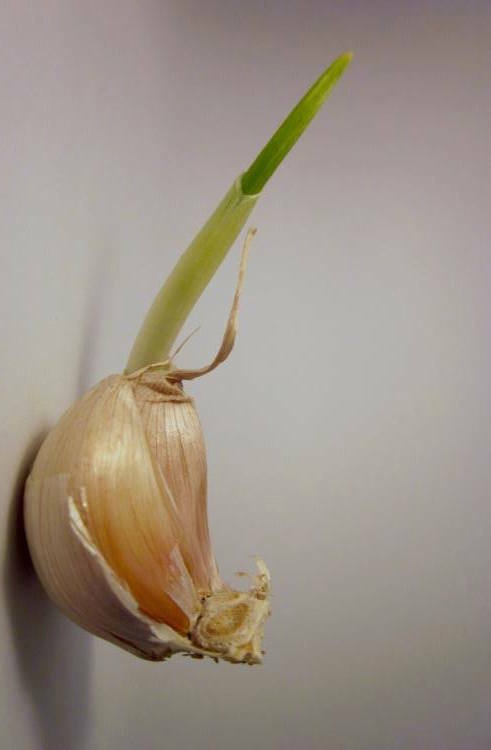 Once your garlic plant has 5 or 6 leaves, it’s ready to be pulled up! It is that easy. Now you have one of the world's most versatile and healthiest food growing in your container garden. Feel free to leave any questions you have in the comment section. Also be sure to stop by amazon to pick up all your gardening supplies.